Total weight assembled 45 lbs. Shipping box size: 47″x13″x10″ (35 lbs). Total weight assembled 105 lbs. GET SOLOSTRENGTH TO YOUR DOOR IN 3 STEPS! 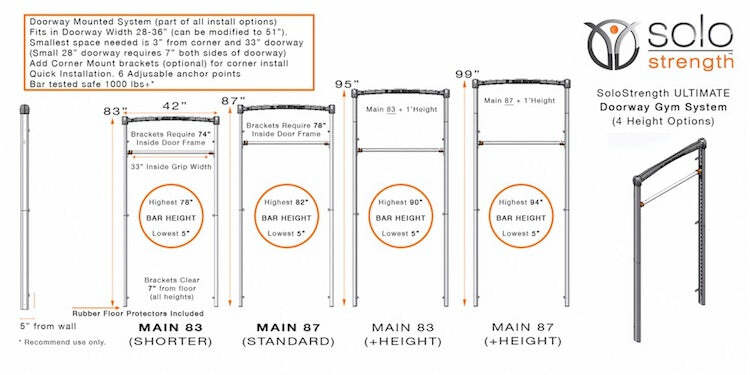 Add Dip/Row Bar or Add Extra Height or BOTH! Shipping Average 2 Days to Your Door! Quality and thoughtful design feels right, switches fast, and keeps you focused on increasing fitness results! 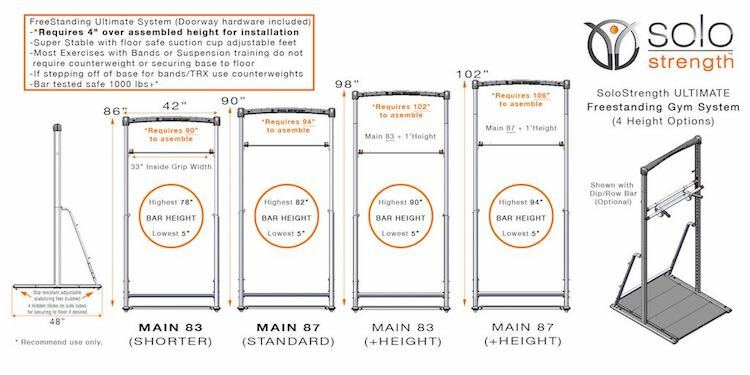 Corner installation with dip/row/neutral grip pull up bar. 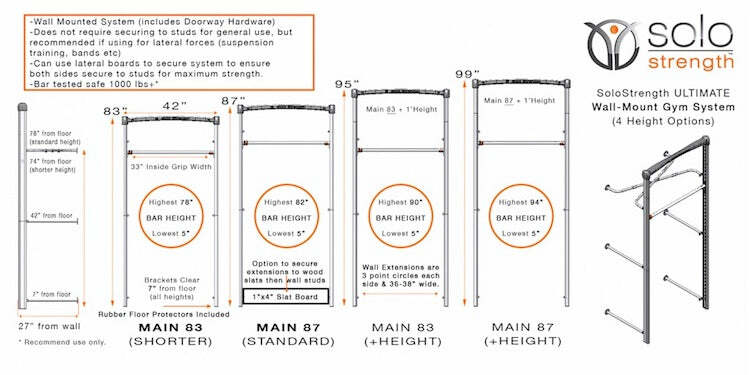 Doorframe mounted fits doorways 28-36″ wide. (optional dip bar). 24″ from any flat wall mounted installation (optional). Corner installation showing extra 1′ height extension (optional).